The advent of monsoon ushers in new hope and creates a spirit of rejuvenation all around. Nature looks resplendent covered in a veil of green and vibrant hues with the wafting scent of wet earth, creating an aura of magic all around. Come August, and it is time for the fourth Coimbatore edition of the Life Positive International Spiritual Festival— 2018. To be hosted at Hotel Grand Regent from August 25 to 26, it’s an invigorating journey of self-discovery that awaits the seeker. 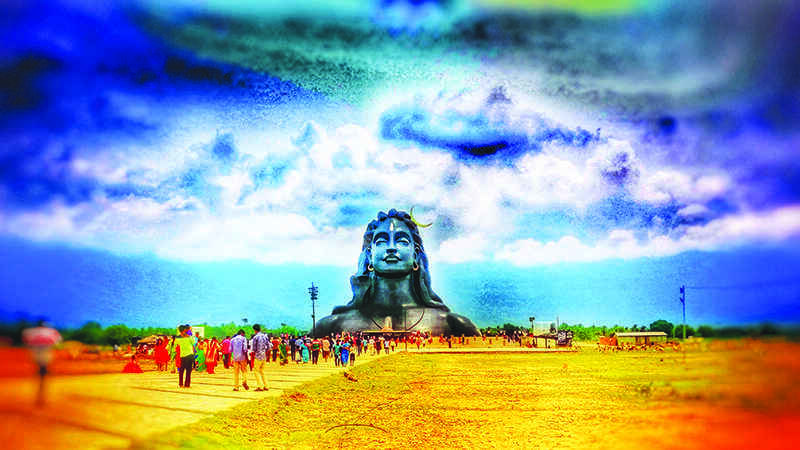 And what could be more halcyon than Coimbatore—an idyllic city, reverberating with cosmic energy. The city that is a perfect blend of cultural heritage and modernity and makes one feel at home, that beckons all to soak in the soul-soothing showers of inner bliss. ‘Relive to relieve’ forms the undercurrent of past life regression therapy. In our truest state, our consciousness is pure, omniscient, full of vigour, and embodies infinite bliss. These inherent attributes of the soul are, however, not experienced by individuals, bound as they are by karma particles or what is known as karma-bandhan. Past life regression opens the doors for us to understand the karmic cycle and reconcile with the events of the past, let go of the pain and burden, and live an empowered life. It encourages the individual to access deeply ingrained memories to develop insight, awareness, and perceptiveness, leading to a behavioural, emotional, and spiritual transformation. Past life regression therapist and rebirthing expert, Dr Trupti Jayin is the founder of ‘Setu,’ an organisation where inner learning is facilitated. With a private practice in Mumbai, clinical psychologist Dr Jayin is also an occupational therapist from the reputed GS Medical College, Mumbai, and a trained Gestalt therapist, NLP trainer. Her one-day workshop will be examining the types of karmas, understanding childhood injunction, womb regression, relationship regression, karmic cleansing regression, and accessing a lifetime of joy. Using hypnosis, neuro-linguistic programming, art, and creative writing, the day-long workshop will entail many regressions, to access and release the karmic allegories and rewrite future ones. Healing ultimately leads one to practise forgiveness and rise above the blame game. But it is easier said than done. Even though we might mentally forgive our wrongdoers, the real deal is emotional forgiveness— when we no longer carry the charge of hurt and victimhood in our body. Her one-day workshop gives you tools and methods to identify areas that will benefit from forgiveness work. It leads you through simple, deep, and powerful exercises to draw out hidden emotions and release them to the universe. Dr G L Sampoorna is a Hay House authorised trainer, workshop leader, coach, and a teacher-trainer in India for the past 15 years. She holds a PhD in psychology and has done pioneering research in the area of forgiveness in India. Amping up your mind-power never seemed so easy. One session of Alpha Mind Power with Vijayalakshmi Panthaiyan opens the gateway to infinite possibilities of maximising your mind’s abilities to get all that you want. The alpha brainwave of the human mind has the power of manifestation, but we rarely access it because we mostly function from the beta state which is the normal waking state. In this workshop, the secrets of accessing the alpha brainwave are shared with the participants. Vijayalakshmi Panthaiyan’s power-packed presentation, filled with crystal clear concepts and cutting-edge tools is every seeker’s dream come true. No wonder her workshops are a huge draw and people keep filing in till the last minute. However, this time, has tweaked her module a bit by adding various embellishments to it, like mantras, pranayama, meditation, music therapy, and group healing. All these added features aim to provide a complete healing of body and mind. Srimatha Vijayalakshmi Panthaiyan is a Mind Power Trainer and Spiritual Counsellor, with a PhD in psychology. She conducts regular workshops across the country to train people in the practice of Alpha Meditation and how to use their subconscious mind. She has studied and practised numerous systems of meditation from 1990 onwards and interacted with global masters. When Life Positive carried an article on Mudra therapy in the October 2017 issue, it hit an instant chord with the readers and Abhay Kumar Shah became a houselod name. A Sanskrit word, mudra implies a symbolic, ritual, or spiritual hand gesture. Ancient cultures believed in the power of the five basic elements that comprise the universe, namely, earth (prithvi), water (jal), fire (agni), air (vayu) and ether/space At every moment, there is an exchange of these energies between the cosmos and the body. As per ayurveda, diseases are a result of an imbalance in the body, caused either by a lack or an excess of any of the five elements. Essentially like electrical circuits, our fingers are known to bear the characteristics of these elements, and each of these five elements serves a specific and important function within the body. Using mudras, one can adjust the flow of energy in the body and facilitate healing. His one-day workshop on mudra science will entail an explanation of creation of the elements, relation of the cosmos to the body, relation of the elements to the systems in the body, panchakosha and the seven chakras, panchavayu and their role in the human health science, mudra- concept, and working with the essential mudras.